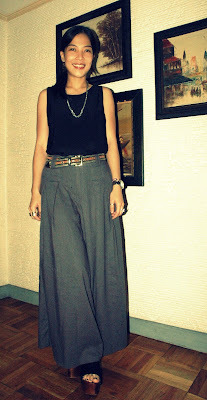 What I Wore Today: Benign!!! A few posts ago, I was ranting about a visit to the doctor. I didn't want to talk about it then but I guess it's okay to share it with you guys now. About 2 weeks ago, I discovered a red dot as big as a pea on my left breast with a lump behind it. I brushed it off thinking it was just an insect bite from the beach or the mandatory pimple before my period. Weeks passed but nothing changed. It was still the same size if not getting a bit larger. And after a week another one appeared on my right breast. This got me alarmed because we have a long history of cancer in our family, breast included. So I went to the our family doctor to get e referral. She sent me to another doctor who examined it more thoroughly and gave me a prescription for antibiotics and some ointment plus an ultrasound appointment after a few days. No diagnosis yet. I thanked her and got my prescription. Headed to the pharmacist to get what I needed. I groped around my bag for the white piece of paper containing the list of medicines I needed. As I flattened it out on the counter to get a clearer view of her handwriting, my eyes grazed upon her job delegation beneath her name. It read cancer surgeon. I didn't realize til then that I was referred to a cancer specialist. This got me really depressed and anxious. My ultrasound was scheduled for today. I was a big bag of nerves! Thanks to prayers from my very supportive family, the results read benign. What a relief! You would never imagine how good it feels to be given a clean bill of health...well sort of. It's a breast cyst and some form of medication and treatment is still needed but that's a walk in the park compared to how much worse things could've turned out to be. Thank God it's benign! I'm so happy for you! No way, No way, Oh no.... THANK GOODNESS!! I'm soooooo happy for you! And once again, AMAZING OUTFIT!! Glad to hear you are going to be ok! I'm amazed you were able to put together such a great look when you were so nervous! Im glad it's not the big "C"
Aww the big C is scary and I'm glad it's not that. More prayers! :) I love your outfit too, sarah! btw, I tagged you :) God bless! Glad you're doing ok! Lots of prayers! wow, u make me tremble a lil thank god you are ok! i'm so glad you're okay!!! 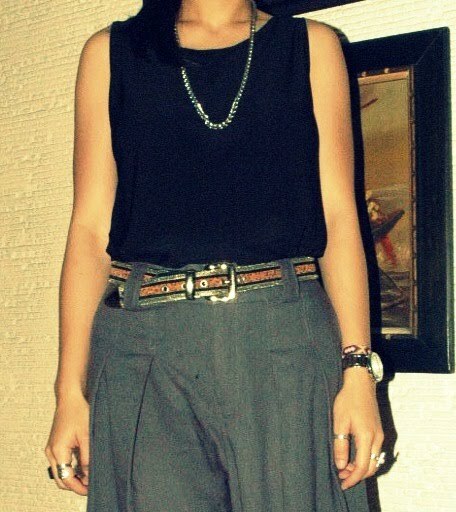 i love this outfit though, the pants are amazing! i know exactly how you feel...found a lump in my left breast the size of a peso coin years back. After months of much contemplation i finally gave in and had surgery...am sure you know the relief i felt when i got a negative result. Am happy you're all right. Hugs! 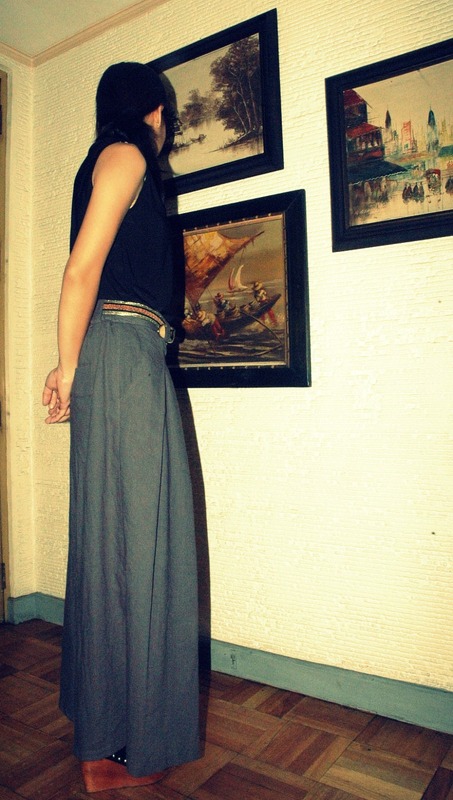 OMG I cannot wear that pants :-( ... you looked good in it though. great news. so glad everything turned out ok. love those wide leg pants...they are so in right now!! Omg, your pants. They are amazing! Great news! 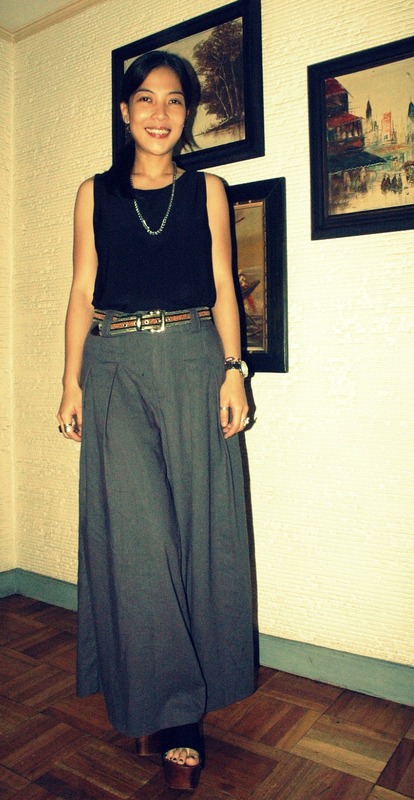 Btw, I love the wide-leg pants! The outfit is very chic - I really like your belt! Love those pants! So chic. ahh happy to hear you are okay! praise God! and your question: I am 18 years old. :) turning 19 in july!